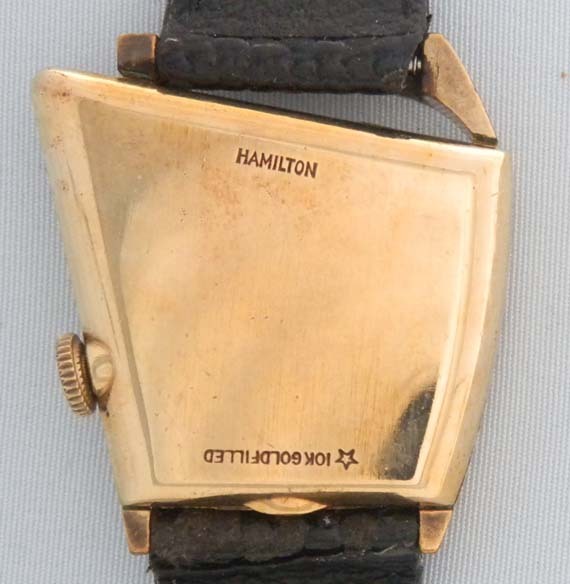 Fine futuristic Hamilton gold filled Flight II vintage wrist watch circa 1960. 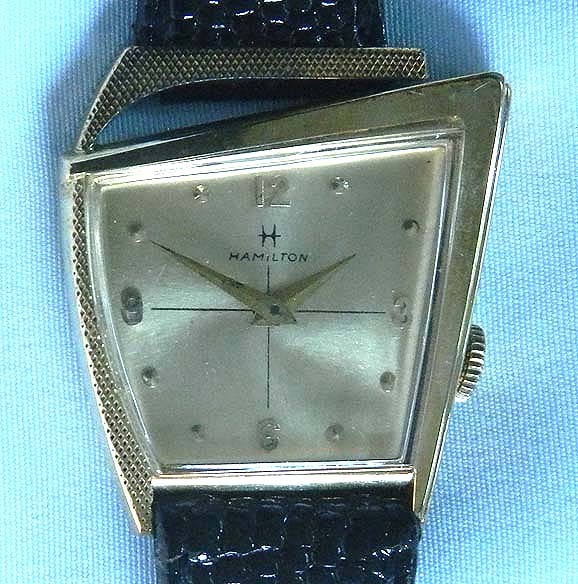 Restored gold dial with applied gold numerals and markers and gold hands. 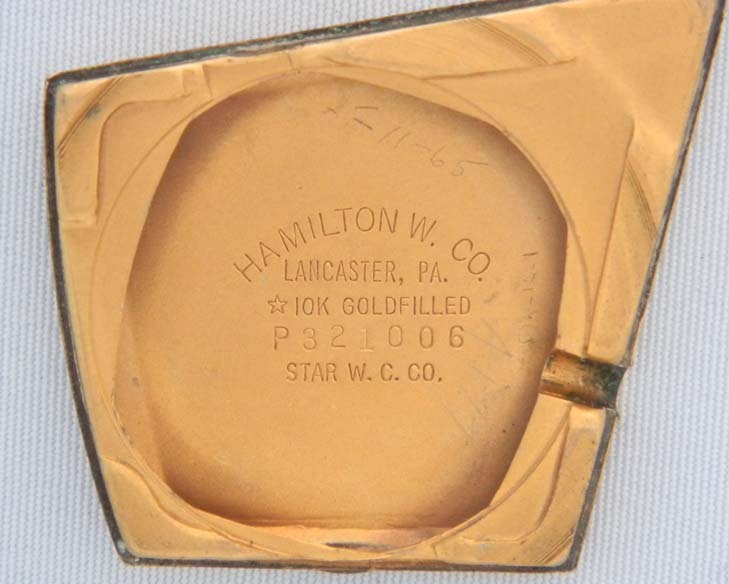 Unusual asymmetrical case. 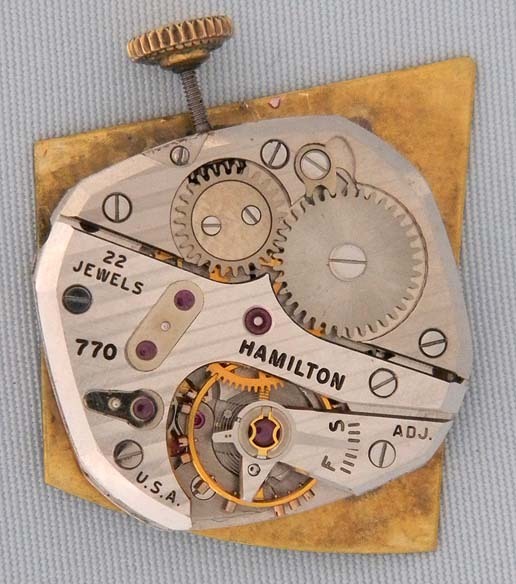 Fine 22 jewel caliber 770 shockproof movement.